Double monitor arm works with desks or desk risers to tilt or rotate monitors for the most comfortable viewing. Adjust the height up to 18" and extend monitor up to 17" to customize it to your needs. 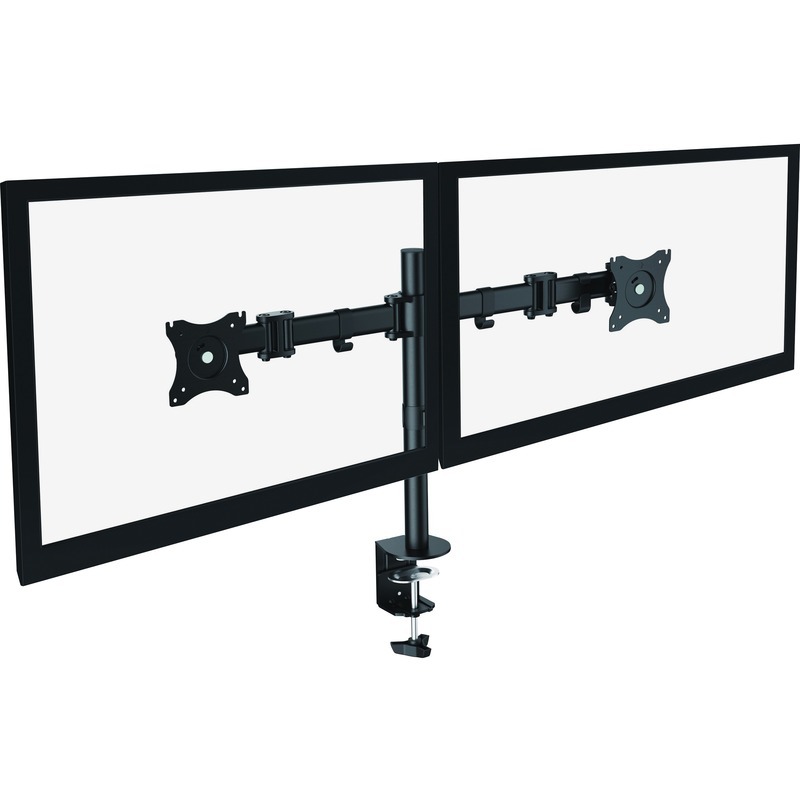 Steel monitor arm includes a clamp and grommet mount. It holds up to two 27" monitors.